Imagine yourself in a floating country club, and you'll have a good feel for Nautica's onboard ambience: elegant, understated and luxurious but with a casual vibe that keeps the whole experience from being overly formal. The experience is anything but pretentious. Ask passengers what keeps them coming back (on our sailing, more than 50 percent were repeat customers), and it's likely that "The food!" will be their enthusiastic answer. Varied menus, five dining venues and creative cuisine that can rival top-notch restaurants all make for the best culinary experience at sea. 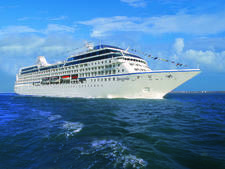 Nautica's itineraries tend to be longer, with many in the 21-day range. There is usually a higher number of sea days than on the average ship, and Nautica also spends the night in some ports, allowing for longer onshore visits. The ship travels around the world and hits a wide variety of destinations. Creative and varied itineraries are another element that keeps passengers returning. In terms of facilities, there's virtually everything you'd find on a larger ship (Canyon Ranch spa, a casino and an excellent fitness facility), yet the atmosphere is cozy and intimate. Staff and crew routinely rotate among Oceania's ships, so a returning passenger on any of them is likely to recognize friendly faces. That could also be because Oceania treats its employees well -- and they return, contract after contract. 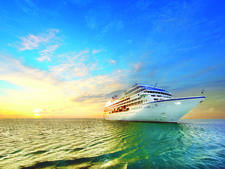 Many of the officers, crew and staff members hail from luxury lines like Crystal and Silversea. The line primarily offers mass sightseeing tours via motorcoach, and if there's one area where size limits the offerings, this is it. 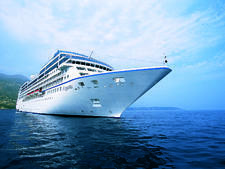 Shore excursions also tend to be on the pricier side, compared to other cruise line offerings. 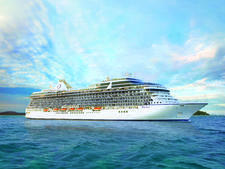 If you define luxury as polished service, outstanding cuisine, an intimately sized ship with just enough of the key bells and whistles (variety of dining options, a gorgeous spa, top-notch lecturers), intriguing itineraries and an ambience of warmth, then this ship definitely belongs in that niche. On the other hand, there are also mass-market factors that don't necessarily hew to luxury standards: Drinks and other extras are priced on an a la carte basis, standard cabins can be small (cozy, but small) with shower-only bathrooms, and there are plenty of inside cabins. The beauty of Nautica is its ability to keep a steady foot in both camps. Oceania is savvy in positioning its fares for a range of travelers, from those who consider suites and butlers necessary amenities to those who value luxury without the Mercedes price tag. In the process, Nautica offers exceptional value for money. Nautica attracts mostly North American passengers, with a handful of Brits. Depending on the itinerary, though, you'll find a smattering of folks hailing from other countries. 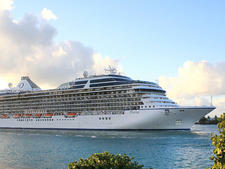 On most cruises, passengers fit into the mature traveler category with a majority falling into the 65 to 75 age range. They are typically well traveled and keen for Nautica's varied destinations. There were only a couple of youngsters on our cruise, and the ship doesn't cater to -- or encourage -- children. Chances are, passengers will have cruised before, and likely on an Oceania ship. They'll be engaged travelers -- the sort who turn out for lectures and want to understand the cultures they're visiting. Given the Oceania's culinary reputation, they're usually foodies, as well. Plan for country club casual and you'll be fine (pretty flowing skirt/pants outfits for women, jackets and, okay, maybe one tie for men at night, and casual tropical wear during the days onboard). Editor's Note: When going ashore, pay attention to Oceania's dress recommendations, which will depend on the ship's itinerary. There are no formal evenings onboard, though many folks did dress for the welcome dinner. Nautica's onboard currency is the U.S. dollar. On European itineraries, it's possible to purchase euros from reception for use ashore. For other destinations, the ship endeavors to arrange currency exchange services, either onboard or on shore. For shipboard currency exchange, the line adds a 5 percent service charge. A gratuity is automatically added to your shipboard bill, but can be altered or removed if you wish. For sailings prior to the 2015-16 winter season, $15 per person, per day, is added for regular cabins; for suites with butler service, $22 per person, per day, is added. Beginning in the 2015-16 winter season, rates will be $16 and $23, respectively. An 18 percent gratuity is automatically added to all beverage purchases and spa services.